The Corporate Identity is the company’s handshake. And it should be strong and memorable. The corporate identity is the essential foundation that you will build marketing and growth strategies on. In today’s competitive environment the effectiveness of your brand is vital for your business success. From the initial client meeting we seek to understand your vision, mission, company culture, target market, clients, and competitors to formulate your distinct corporate identity that stands out in your industry. 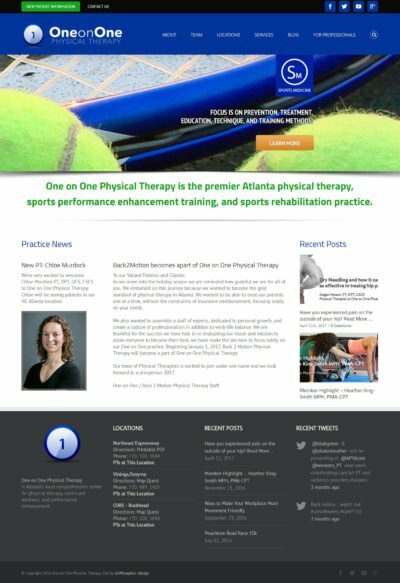 The below portfolio examples show how the identity of One on One Physical Therapy is more than just a logo. It is the color, content, message, packaging, delivery, and consistency in which the company’s ideal is presented to the public.